Were you looking forward to the 9th annual CHAT Fresh Tradition Fashion Show as much as I was? As I entered the Roy Wilkins Auditorium on Saturday, September 12th 20145, I was greeted by CHAT’s friendly committee members who happily welcomed and checked my guests and I in. After being checked in and putting on our wristbands we took a few photos by their backdrop and made our entrance into the auditorium. There were black curtains around to display where you are allowed to be in. It was dimly lit and I thought to myself that this was a huge space; plenty of room to mingle and enjoy oneself unlike last year’s tight venue. There were 3 rows of seats set up along this T shape like catwalk that had plenty of rooms for the models to walk down on with ease without tripping on anyone. There were two cash bars set up to the right as you walked in and they also had tables for their raffle drawing as well as 3 vendors selling their items there. Because the show didn’t start in an hour, my guests and I decided to go to the bar, grab our drinks and mingle. There were so many well-dressed people there from your beautiful evening gowns to suit and ties, flashy colors and designs…One would think everyone was a participant of the show. I took my seat in the front VIP row. Honestly, I think I had the best seat in the house because it was right where the models stopped to pose when they came out and as an amateur photographer and fashion designer myself; I was able to truly see the designs up close. The show started a few minutes past 7:00pm and was welcomed by Fres Thao, Executive Director of CHAT who made his announcements and kicked it off. Alright I thought to myself, I am ready to see how these 5 Hmong lady fashion designers/artist would bring to life incorporating Hmong fabrics/patterns and colors in their fashion designs. So here we go… The first designer, Pachia Vang with her line of “La Dolce Vita”. 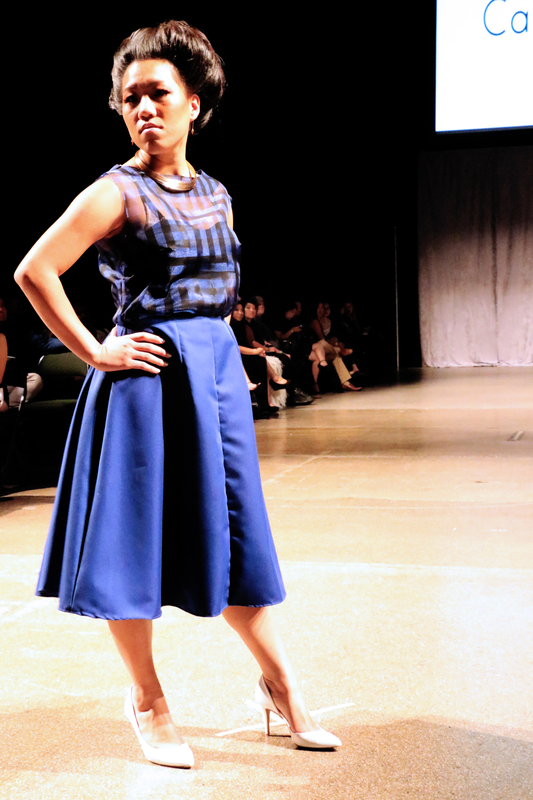 Her designs are more like a work attire collection with Hmong designs and modern wear into one. 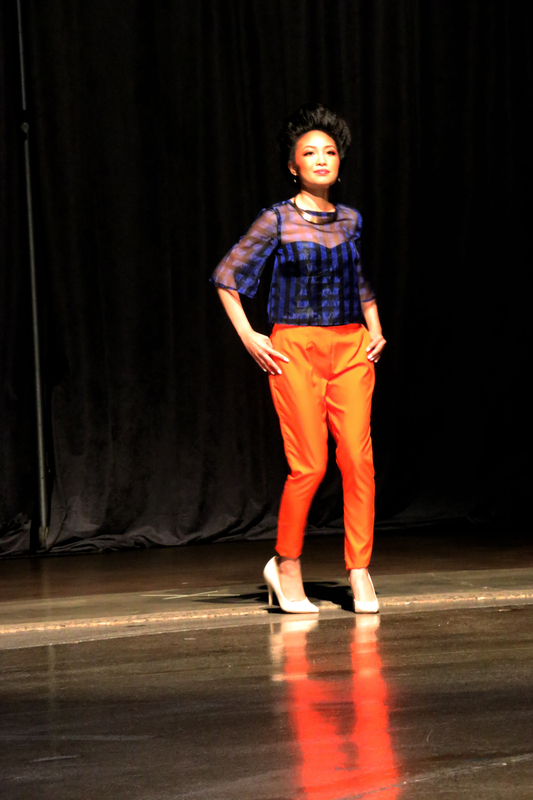 She incorporated Hmong colors and patterns into blazers and cape blazers, shirts and dresses that one can easily wear to the office or business meeting. 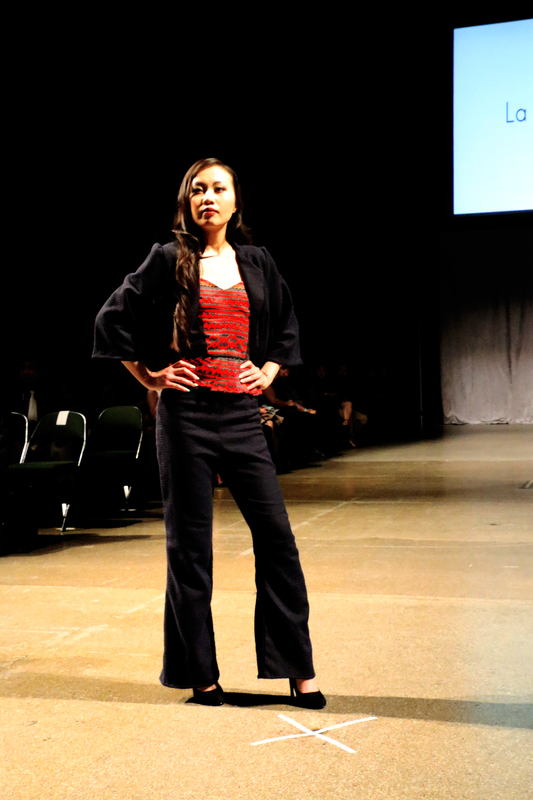 Second designer, Yuri Xiong with her “Resurrection” line is more traditional costumes of the Hmong, Native American and Chinese influences. Therefore, instead of the usual Hmong custom hats you see, this designer had all her female models come out in real life black chicken feather hats with the black and white Hmong pattern design on it. The detail and time to do this is remarkable! This line was defiantly bold, daring and awakening. 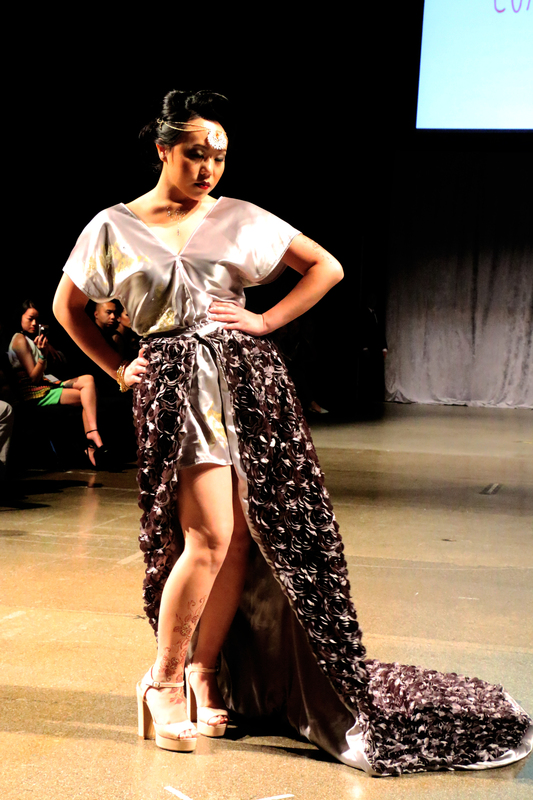 A collaboration between Kia Kehrer and Pa Houa Xiong with their line of “Coalescence” is the 3rd designer in the lineup. 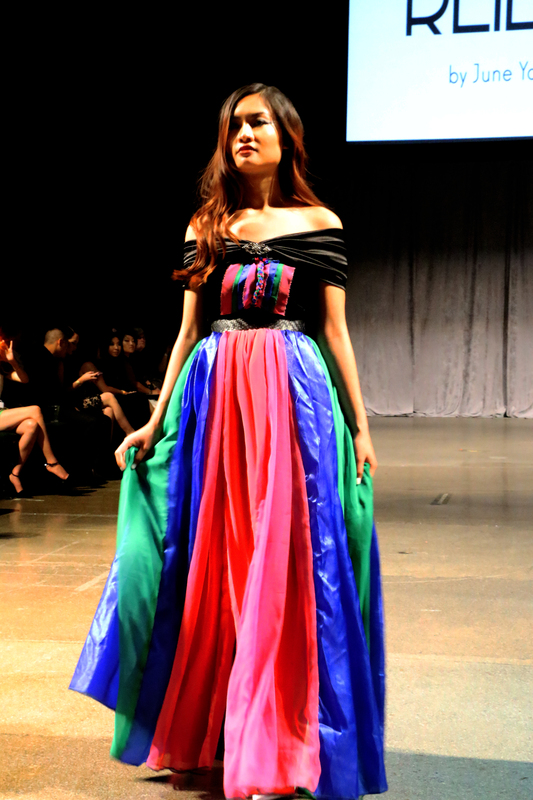 Their designs were inspiration of Hmong patterns/fabrics and Indian fashion made into colorful flowy evening dresses. 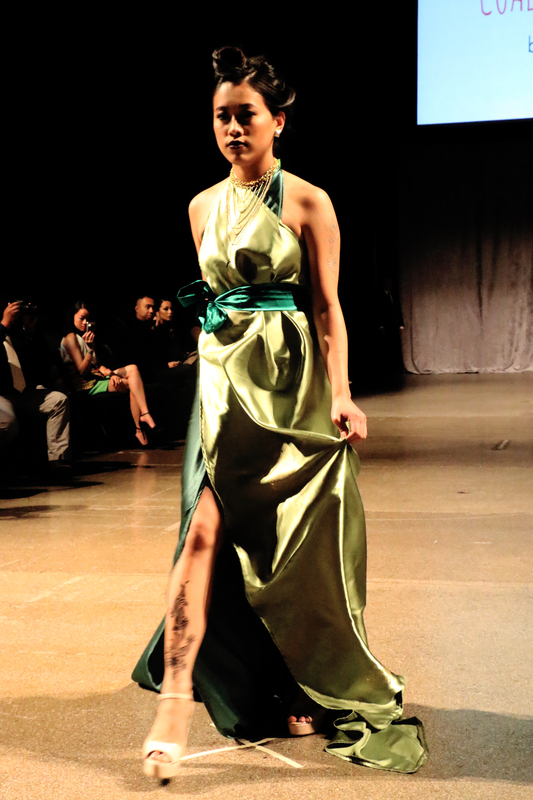 The models came out in henna designs and handmade jewelry by Pa Houa. Did you enjoy it as much as I did? What do you think so far? We were then given a 20 minute break until the last 2 designers showcased their line for the last segment of the fashion show. I took this opportunity to network, meet up with old and new faces, took more pictures and by the time I realized it, the room was dark and the last half was starting. The forth designer, Bao Yang with her “Capricious” line is a spring inspired collection of bright Hmong colors for the sophisticated woman. The models wardrobe consisted of either black, blue, or bright orange color with hair styles that looked a lot like well…beehives, interesting nonetheless. Last designer was June Gungsing-Yang, with her line of “Reiel.” Her collection had a cross and mix of romance feel and edgy influence to it. She used bright bold Hmong colors into her wardrobe and some outfits took you to a dark place where you felt like a villain and then a prince or a warrior and then a princess for the ladies. Ladies and Gentlemen, that was the conclusion of the CHAT Fresh Tradition Fashion show in my opinion. I hope I had captured an idea for some of you who may have not had the opportunity to be there. I love attending these shows annually and am thankful for every experience. 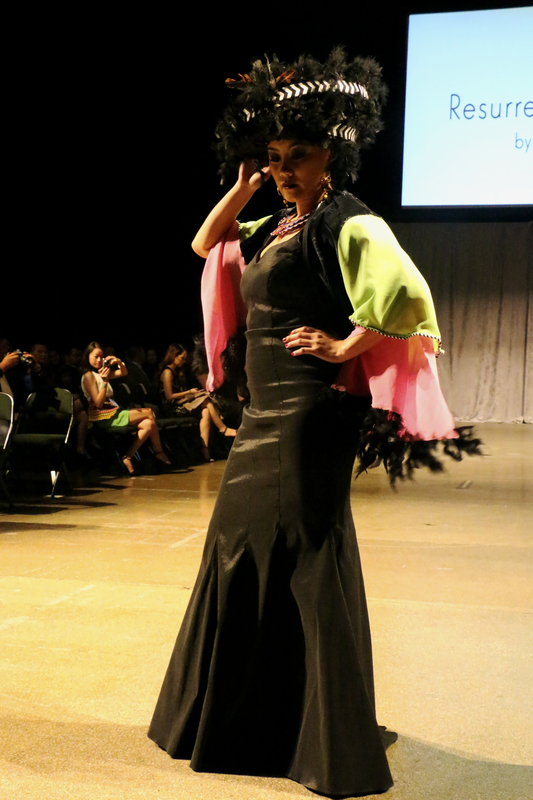 The talented artist/fashion designers that night were able to incorporate our heritage and culture in a new modern way and some with a twist; may that be in a Hmong inspired pattern chicken feather hat, or in bright colors to looking like a warrior, prince, princess, etc.…I hope that our Hmong culture will always be kept alive. As a fashion designer myself, I would like to see more at the Fresh Traditions show or at any Hmong events for that matter be done by Hmong male designers . Therefore, let me take this opportunity now to address that I will be taking the honor next year to showcase my passion, love and appreciation for our Hmong culture in designs that will tailor style, sophistication and class in utilizing our patterns and colors into ties, bowties, scarves, belts, etc. for our Hmong men & brothers. I hope to see all or many of you at the “2016 CHAT Fresh Traditions Fashion Show.” As a closing thought and being one of the supporting sponsors of this year’s fashion show I want to give a shout out to the CHAT team for an amazing job in putting this on every year! May we always embrace our Hmong culture as one! !